You are Charmeine, the Angel of Harmony. You are beautiful, honest, faithful, affectionate and loving. You are persuasive but never forceful. 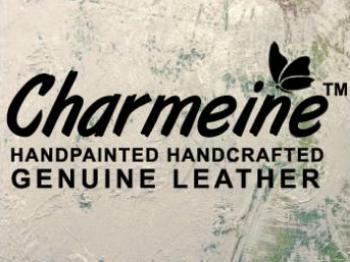 For you and your spirit of love, we present you “Charmeine” – Hand painted and Hand crafted leather luxuries. Each Charmeine product is sculpted by expert artisans specially for you because we believe that “Art is not just for wall”.